Chocolate! Egg hunts! Bunnies! A bank holiday! Yes, Easter is coming up and we want you to bring it to the 21st century. Have you ever had a kinder surprise egg? 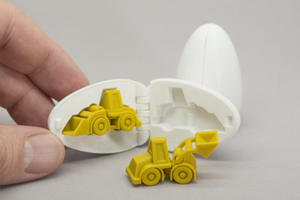 Well, we want you to take the toy within an egg idea and bring it into the 3D printing world. 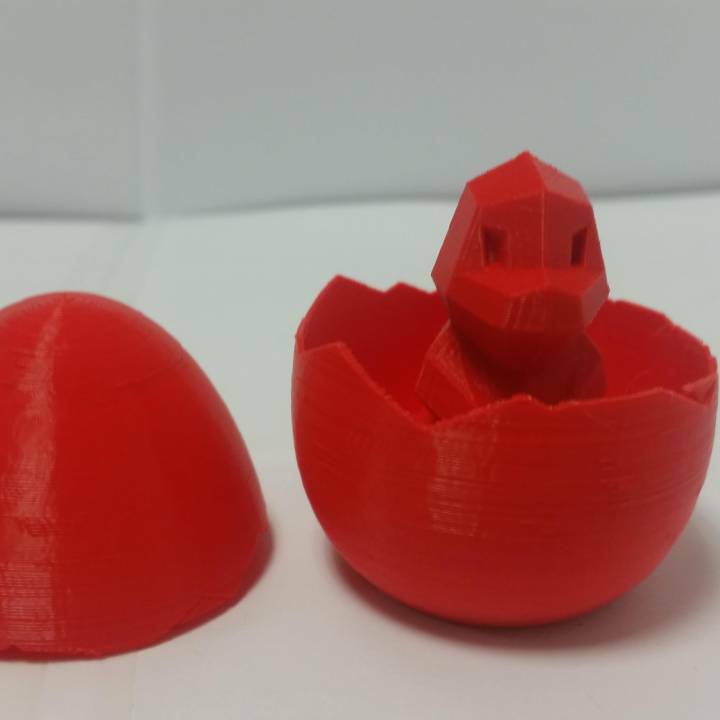 You can design the classic toy within an egg or take it a step further and design a toy within a toy. Either way, we want to see your creativity shine through. The toy you design does not have to be related to Easter, so go wild with what you create. Just make sure it’s 3D printable! You will have to design the object of your dreams on Tinkercad’s easy to use software. Make sure to design your creation using Tinkercad and upload directly to MyMiniFactory using the built-in “Upload to MyMiniFactory button”. Don’t forget to tag your creation in the description or title using #TinkercadEaster. 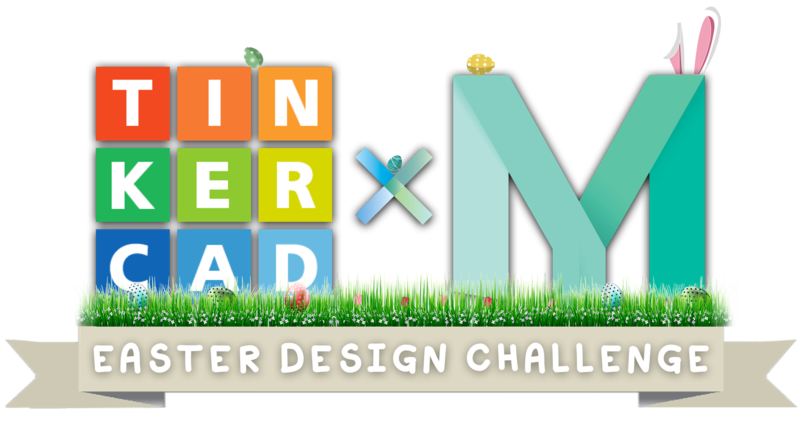 Once your design has been uploaded and approved on MyMiniFactory, make sure you share it on Twitter with the hashtag #TinkercadEaster @MyMiniFactory @Tinkercad. A panel of judges from MyMiniFactory and Tinkercad will decide on their favourite designs based on your originality, printability and element of surprise! For more information on how to do upload your design from Tinkercad, check out our blog post here. We look forward to seeing your amazing designs. Create a print within a print. It could be a surprise egg, which reveals a different object when opened - this could be an animal or a vehicle.. Anything you can fit in there! You could even go further and design a toy within a toy- it’s up to you! The Crane Quad 3D printer takes 3D printing to a whole new level. What truly makes this 3D printer stand out is being able to feed four filaments into one extruder. 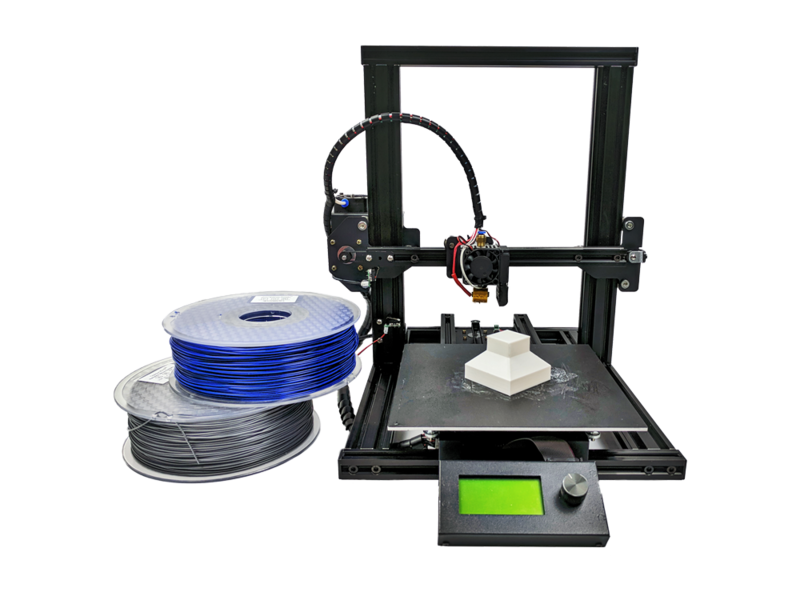 Users will be able to print full colour if they choose to load cyan, magenta, yellow and black, or switch between various print and support materials for a convenient, adaptable 3D printing set up. The Crane Quad offers an 8"-cubed build volume, heated bed, Duet Maestro board and LCD screen. And some awesome Tinkercad goodie bags for the runner ups! M3D would like to send you an email, at the end of the competition, with special offers on their products. By entering this competition you agreeing for M3D to contact you via the email registered to your MyMiniFactory account. This email will have an "opt out" option in compliance with the data protection act. Happy tinkering, and good luck!